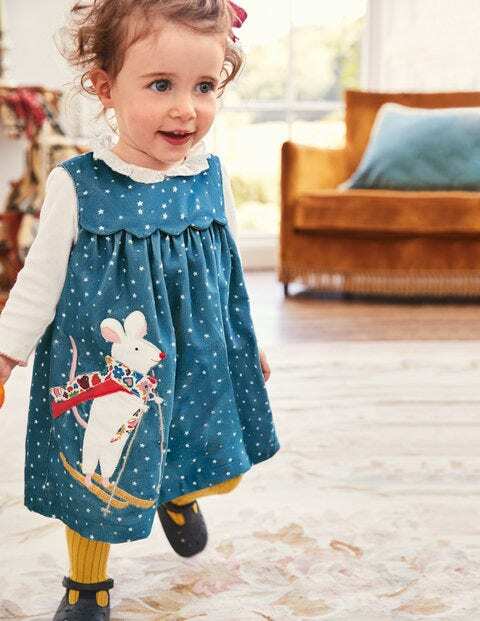 Parties are better with friends, so we've added some adorable appliqué animal pals on this cotton velvet pinafore dress. There are textured details for extra fun, a glittery trim for some sparkle and it's lined to keep out the chill. A buttoned placket at the back makes it easy to layer up – pop it over a Boden body for a cosy ensemble.